This past week, amidst annual #HeritageWeek events, ERA was proud to receive honours from both the City of Ottawa and the Lieutenant Governor’s Ontario Heritage Trust for four significant projects completed in 2018. On Tuesday, February 19, the Ottawa Heritage Awards were presented for “outstanding contributions to the restoration and conservation of Ottawa’s heritage properties.” ERA’s Victoria Angel and Jan Kubanek received recognition for our roles on the National Arts Centre’s addition with Diamond-Schmitt Architects, and the extensive conservation and rehabilitation of the new Senate of Canada Building (formerly the Government Conference Centre) with DSA-KWC. In 2014, the NAC Rejuvenation project was announced in anticipation of Canada’s 150th celebration in 2017. The transformation included improved spaces for performance, new wings for audience and presentation events, and a new entrance on Elgin Street with a glazed addition wrapping around the north side of the complex. ERA served as Heritage Conservation Advisor for Diamond Schmitt Architects on the project, developing a Heritage Conservation Approach report, which outlined the architectural, historical, and cultural significance of the building and identified heritage conservation goals and strategies to conserve its significance.The core of this approach revolved around preserving the distinct and dramatic features of the exterior and interior. The rejuvenated NAC establishes new transparency with the city, enhancing its connection to the surrounding symbolic landscape of Confederation Square. The NAC project has both enhanced and sustained the heritage significance of the building, providing an excellent example of thoughtful and innovative heritage conservation planning. 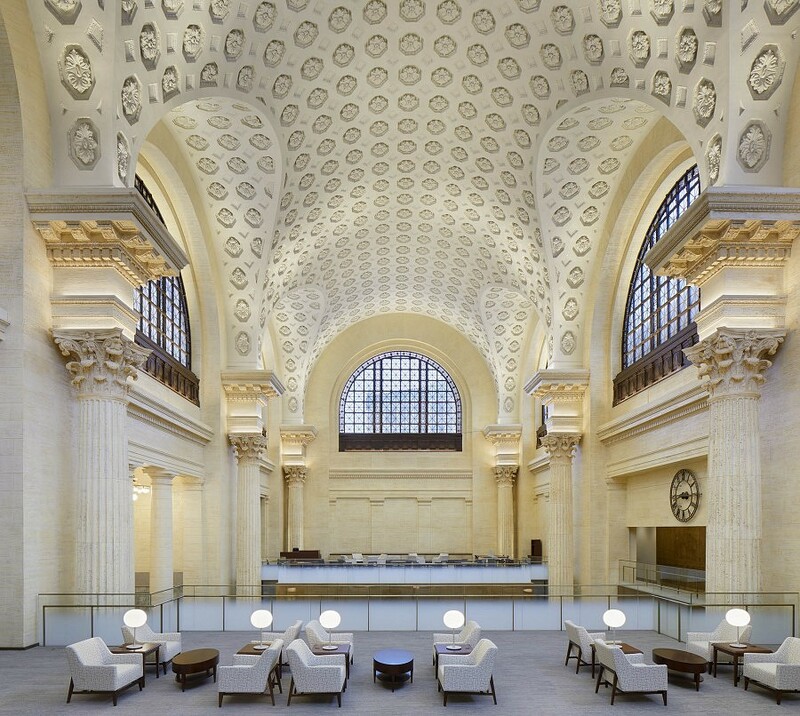 The project scope included the full rehabilitation of the exterior and interior of the former Ottawa Union Station. 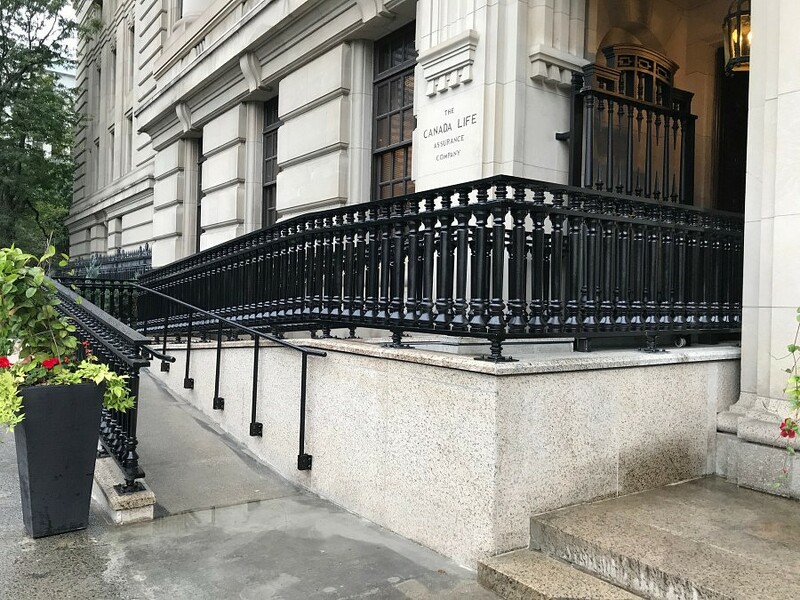 ERA Architects worked as the heritage architects with DSA-KWC Architects in Joint Venture, as well as John G. Cooke & Associates Ltd as structural engineers. As part of this multidisciplinary team, ERA was involved in all project phases from Schematic Design through Site Review and Construction Administration. The rehabilitation project aimed to reveal the original character and historical elements of the building that had been concealed during modifications when Union Station became the Government Conference Centre in the 1960s. 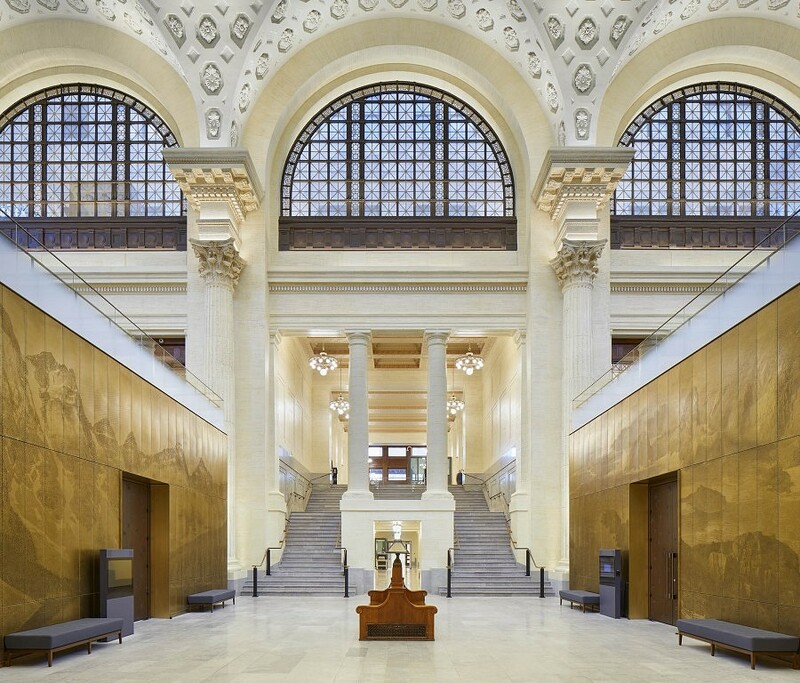 The theatrical character of the interior procession, the axial progression of spaces, the dramatic use of natural light, and the rich palette of materials were re-established and, in some cases, uncovered, while meeting the project’s functional and technical requirements for the Senate of Canada. Previous insertions in the significant interior spaces, such as the General Waiting Room and Concourse spaces, that obscured the heritage character of the building were removed. Interior elements, such as imitation travertine, marble and woodwork, were all repaired and refinished. A major technical conservation challenge was the rehabilitation of the two suspended plaster ceilings. Composed of precast coffered plaster panels suspended from the steel structure above, the ceilings were in poor condition at project start-up. 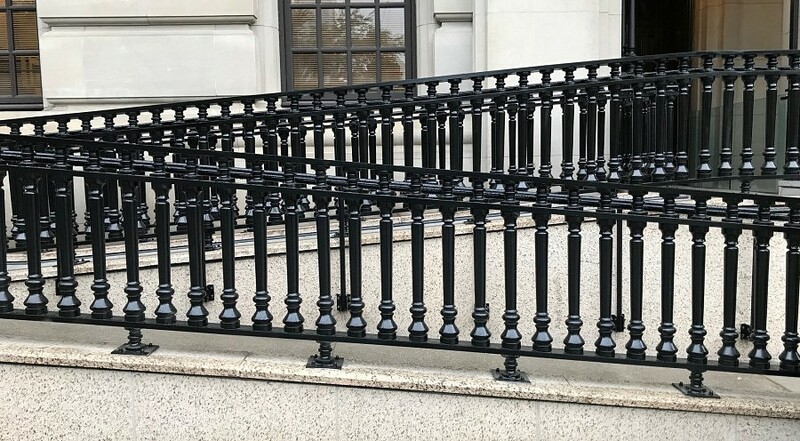 As no appropriate North-American plaster conservation precedent existed, experimentation with conservation products and techniques from the United Kingdom was undertaken to determine suitability. After multiple mock-ups and tests, a conservation strategy was developed and implemented, with no visual impacts from below, serving as a new precedent for plaster conservation in Canada. Senate of Canada Building (GCC), 2019. On Friday, February 22, ERA’s Michael McClelland, Andrew Pruss, and Doug de Gannes were invited to Queen’s Park for the Lieutenant Governor’s Ontario Heritage Awards and received the Award of Excellence in Conservation for One Spadina Crescent, the new home for the Daniels Faculty of Architecture Landscape and Design, and for the University of Windsor’s School of Creative Arts in the former Windsor Armouries. One Spadina Crescent is one of Toronto’s most prominent architectural sites. 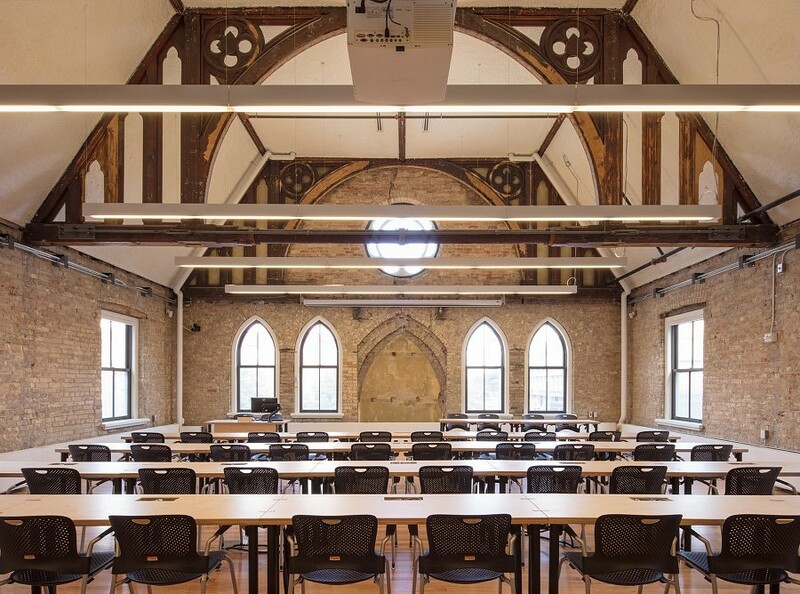 The historical building, site rehabilitation, and new addition re-establishes One Spadina as a gateway to the University campus and reintroduces it to the public perception. 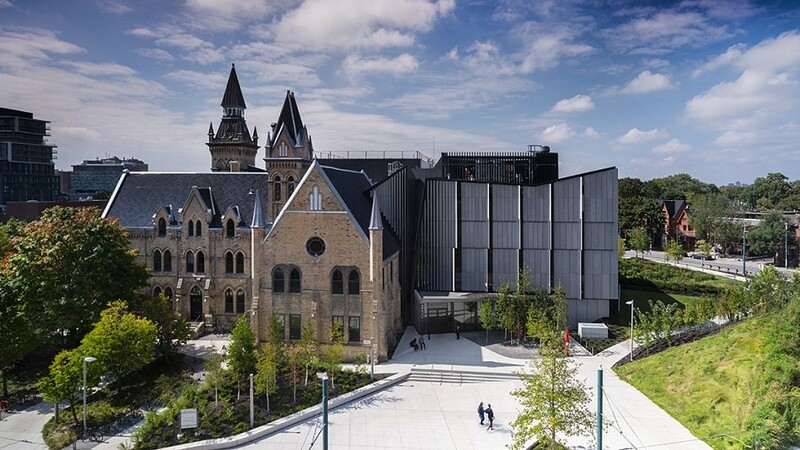 Beginning in 2006, ERA Architects worked with the University of Toronto to advise on heritage issues related to the site’s redevelopment. Since 2011, we’ve worked closely with the project’s prime architects, NADAAA. The University of Windsor transformed the 1901 Windsor Armouries, once home to the Essex Fusliers, into a state-of-the-art learning centre for the creative arts. The transformation was made possible by the collaboration and co-operation of both the Government of Ontario and the City of Windsor. 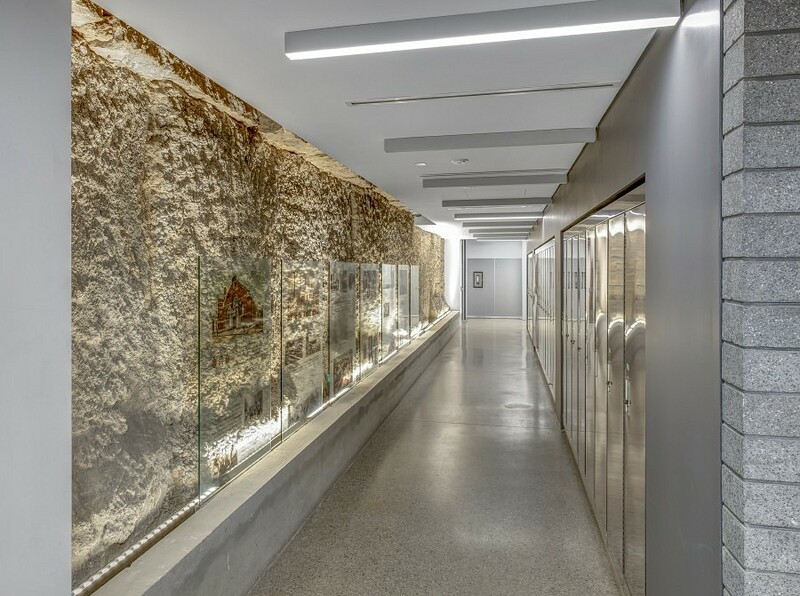 Over a four-year construction period, the rehabilitation of the Windsor Armouries was carefully undertaken to pay homage to the building’s historical military past. 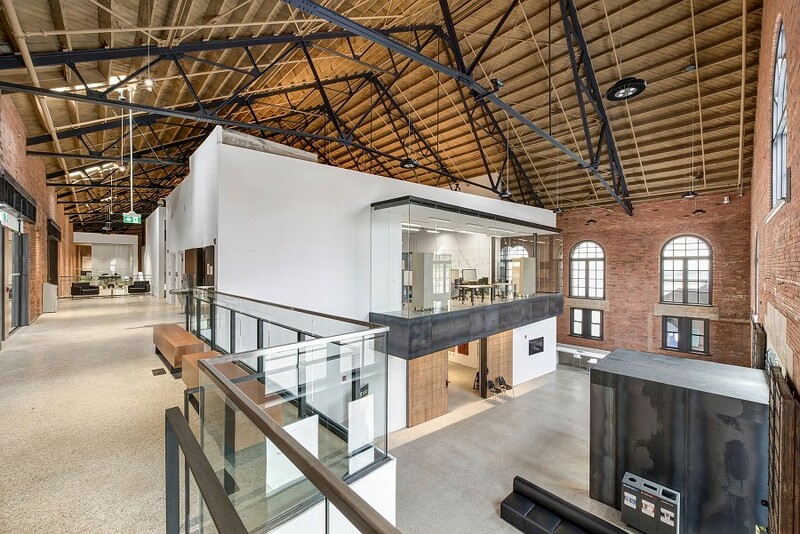 In 2015, ERA began working with CS&P Architects to restore the existing masonry building and insert within the existing fabric a brand-new purpose-built facility. The original brickwork was successfully restored, allowing for exposed brick on the interior and the exterior windows were also carefully restored to resemble the original arched windows. The original floor, which once supported tanks, was removed for the new construction of a three-storey interior structure, fully contained within the Armouries, which now houses 6,224 square metres of new space for students, including classrooms, performance spaces and a theatre. 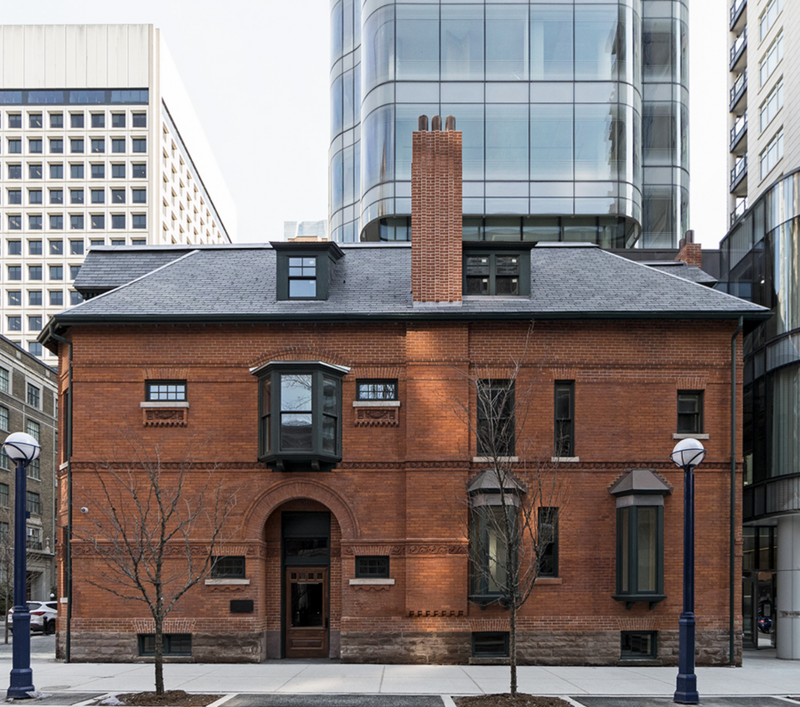 This repurposed building now serves an active student community and as a dynamic space for creative arts: students, faculty, and staff moved into the restored Armouries and an adjacent building in January 2018. Its restoration is playing a key role in the revitalization and diversification of Windsor’s downtown, has given a new focus to Windsor’s military history, and has provided significant additional learning space for the creative arts. 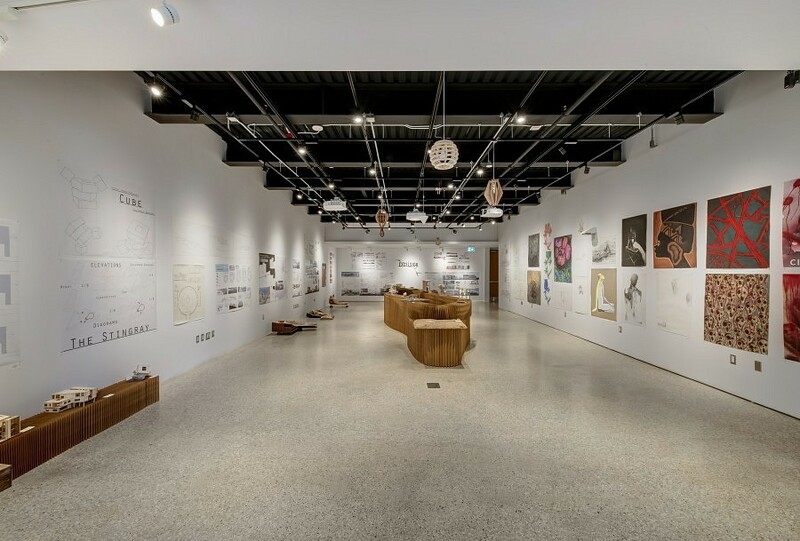 The project serves as an excellent example of adaptive reuse and rehabilitation of existing heritage buildings, connecting the city to its cultural past while instigating urban renewal. Windsor Armouries, University of Windsor School of Creative Arts, 2018. 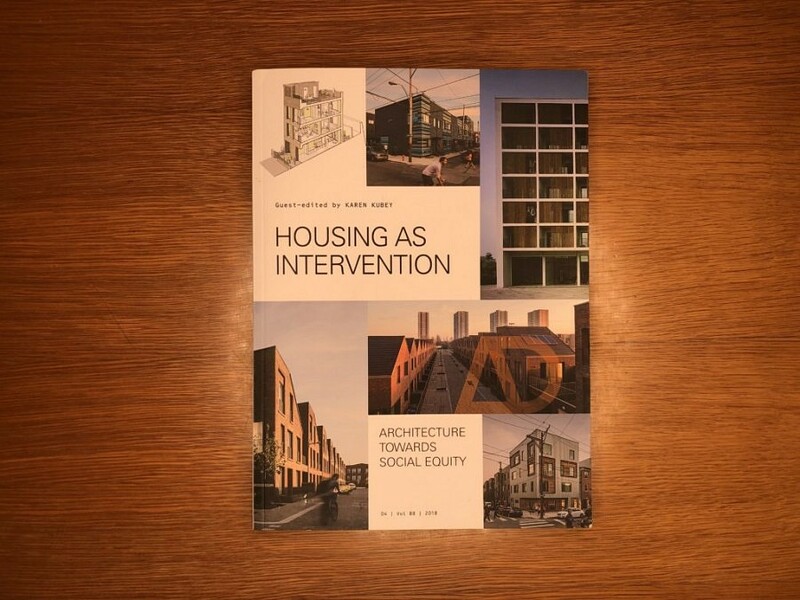 This ongoing program of ‘research to action’ was featured in Architectural Design Magazine special issue: Calling All Architects: New Approaches to Old Housing. The issue showcases international leaders who are pushing the boundaries of traditional architectural practice in rethinking housing and shares the experiences of architects who have been expanding their practices to provide innovative housing solutions by revitalizing old buildings—instead of the typical process of demolition and building anew. The issue showcases how architects and organizations across the world are shaping and developing a new medium of practice in tackling issues of housing. 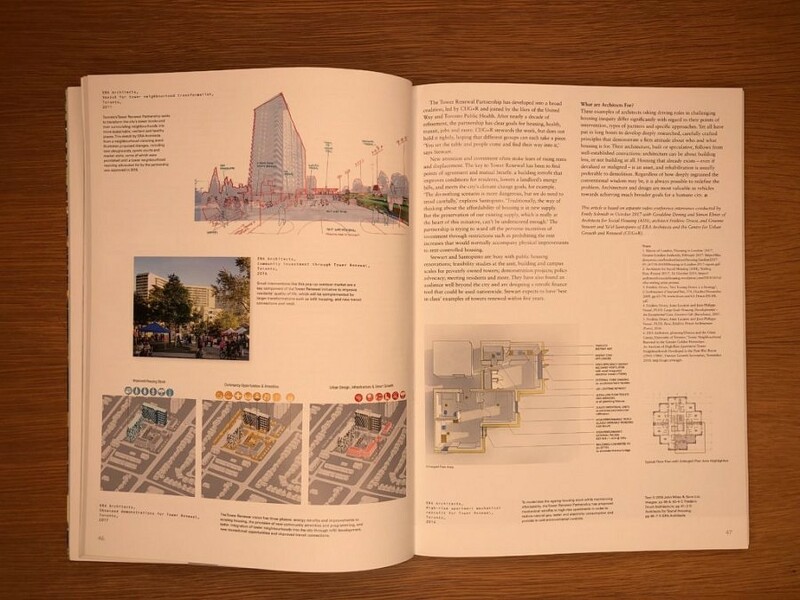 Through the Tower Renewal Partnership, CUG+R, and ERA, architects Graeme Stewart and Ya’el Santopinto engage in work ranging from advocacy and policy development to technical development to create the context to make Tower Renewal a reality—something Stewart calls a “one-two punch”. 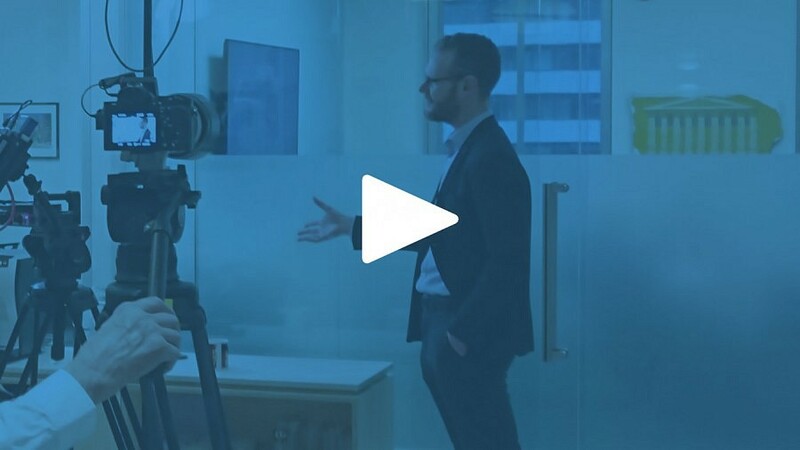 “We have a research arm though a non-profit [CUG+R] as well as a practice arm [ERA] where we build things,” Stewart explains. It is this structure that has helped advance and implement building retrofits and site-wide renewal. “It’s those kinds of activities that are really outside the framework of a traditional practice, but are actually exploring the nuts and bolts of land-use planning, building codes, zoning, taxation and other barriers that have made Tower Renewal effective,” adds Santopinto. Guest post by Andrew Cohrs for the Tower Renewal Partnership.